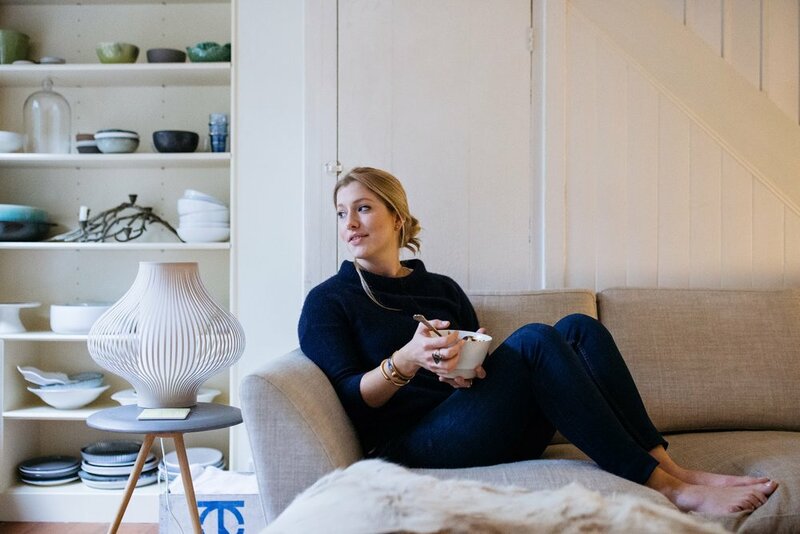 We went to meet Antonia in her beautiful house in West London to go and chat to her over a bowl of granola and find out a little more about what gets her up in the morning. Q. Have you always known you’ve wanted to be a nutritionist / what got you into the industry? My background was initially in Fashion and Art, I worked in Italy and Paris before coming to London and it was working here that my passion for health really started to really develop. I loved my role within the creative side of the industry but I felt that the pressures and misrepresentations were really unhealthy. 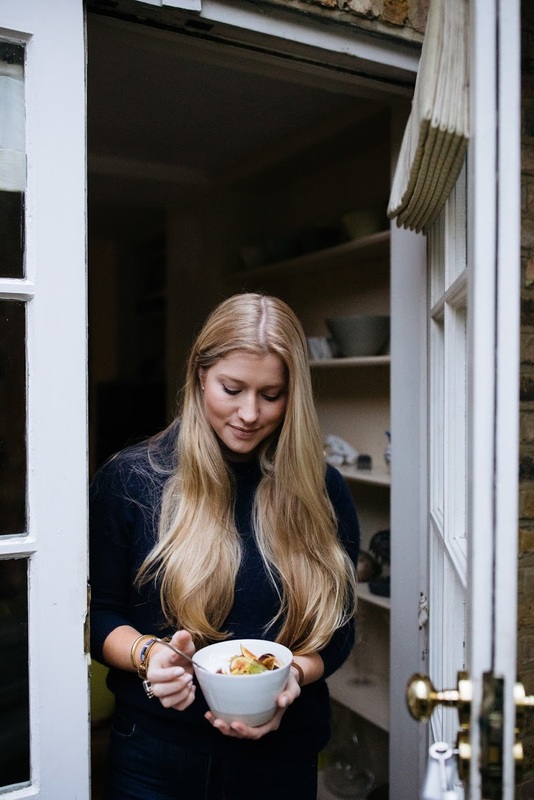 I’ve always been passionate about food but it was then that I decided to leave my role and start my studies in nutrition to more fully understand the relationship between food and our health. I really loved studying and I wanted to experience different approaches, which took me to the States to study further, before returning to start my practice here in London. I work with individuals on a one to one basis from my clinic on Harley Street. Whether it’s to reach specific health goals, part of their medical treatment or just support in making adjustments, I work with their diet and lifestyle to address the root causes of issues or ill health and make positive long - term changes. This morning I had sourdough with marmite and avocado, it sounds strange but it’s really good. Early bird, but with at least 8 hours. Do you have any top nutritional tips for what we should be eating at breakfast time? For most people I would recommend eating breakfast within an hour of getting up to support steady blood sugar and metabolism, but I’m mindful that breakfast isn’t for everyone! The biggest thing I would say is that if you are having breakfast to make time to actually eat it rather than grabbing and eating on the go. This doesn’t do you or your digestion any favours. I’m also a big advocate of protein with your first meal, which often gets forgotten about at breakfast time. Whether that’s adding a dollop of yoghurt or handful of nuts and seeds it’s important to balance your breakfast just as you would any other meal. Being healthy to me isn’t just simply about eating the most nutritious diet possible; it’s about enjoyment, fulfilment, balance, choice and education. I find that prioritising looking after yourself, through good nutrition, making time for yourself and educating yourself about your body and health is empowering. Being well isn’t a tick box of things you can do, it’s about understanding and recognising just how important you and your health are. I don’t believe that any food should make us feel guilty, no food is inherently good or bad! I really love food and eat what I feel. When I go out and enjoy a meal or something typically seen as “unhealthy” it is not something I feel the need to justify. Food is about enjoyment and sometimes that means healthy nourishment, sometimes that means a burger and chips. It’s about connecting to how food makes you feel and understanding the relationship it has with your health. But something I really love would be Bao buns. I adore them. How do you switch off from it all? For me cooking is switching off, there’s something very methodical and soothing about it as you’re completely absorbed by the process of creating something. I love cooking for friends so padding around the kitchen making a good Sunday lunch is what I really enjoy doing on the weekends. Big question but, how should we be tackling the current obesity crisis in the UK? It is a big question! and a really important one. I think on a personal level it’s about taking responsibility for our own health. Making sure we are educated, looking after ourselves through good nutrition and seeking appropriate sources of help and information when we need it. On a bigger scale I think it’s great that nutritional advice is becoming more and more prevalent and the link between diet and health impacts is being talked about. However unfortunately in today’s world of quick fixes and sensationalised headlines, it is difficult not to feel pressurised and confused about what we should be eating. I think the press needs to take some accountability in the messages it promotes, as do food companies and the food industry powers. Obesity and poor nutritional health are national issues and need to be recognised rather than stigmatised. Where do you see the health and wellness industry going over the next few years? I am excited that the conversation about mental health is evolving, our health isn’t one-dimensional and I think we are now seeing a more holistic approach to conditions. I am a big advocate of the power of nutrition to affect our physical, mental and emotional health. Atelier September in Copenhagen or closer to home I went to Morito, Hackney Road, recently which was great. Finally, favourite Spoon granola / muesli and tell us how you enjoy it?! My favourite is the Dark Chocolate granola, which is heaven. I usually have it with some coconut yoghurt and passion fruit after supper. Or the Apple and Peanut granola is great for snacking…. Antonia is available for consultations in London or over Skype. Get in touch with her at am@antoniamagor.com or you can find her on both Instagram and Twitter.